It’s Friday and time think about getting together with family and friends and planning some rides for the warmer months ahead. 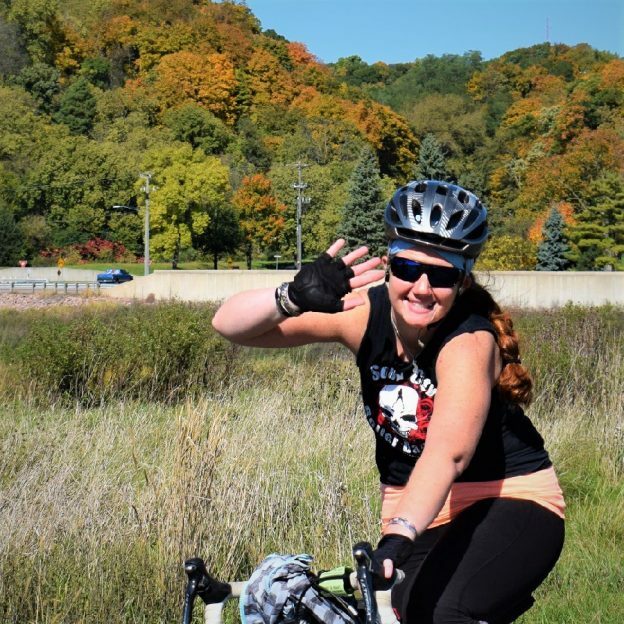 Here in this photo, last year, we caught this biker chick riding along the Minnesota River Valley, in Mankato, MN having fun. Maybe its time to start planning your #NextBikeAdventure? This entry was posted in Picture of the Day and tagged bike commute, Bike Iowa, bike tour, bike touring, bike tourism, biker chick, Biker chicks, Friday fun, fun bike picture, pic of the day, pictureperfect, RAGBRAI, ride across Iowa, riding into the sun, road bike, sun glasses on February 23, 2018 by Russ Lowthian.